Are You Behind On Your Bible Reading? If you’re like me, you may have set some resolutions in for yourself back in January to meet in 2019. If you’re also like me, you might have gotten, three months into the year and realized you had already forgotten about some of those goals. For me, personally, I only have a couple of resolutions. One is to run more, and, while I have increased my running some, I can’t seem to push myself to run more than three miles. I always seem to find an excuse to not push myself to actually run the extra mile. I’ve also found myself struggling to achieve my other goal, even though it only takes a few minutes each day--reading the Bible in its entirety. For many years I have had the resolution to read the entire Bible in a year, but I have never been able to succeed. I started off strong every year; I read Genesis 1 on January 1st. Unfortunately, come December 31st, I wasn’t wrapping up Revelation 22...and, often, I wasn’t even close. It was discouraging. In 2018, I really wanted things to be different. I wanted to set my age-old Bible reading goal but actually complete it. I knew it wasn’t going to be easy, and I have struggled to build and maintain the necessary habits, but I’m learning to push through and “run the extra mile,” so to speak. One Sunday in December 2017, my pastor encouraged us to seek out Bible reading plans and commit to digging in God’s word every day. Before the year was over, I looked into a few plans and decided to read the Bible in chronological order. I ran my eyes over the sheet with all the readings, slightly intimidated, but also excited at the thought of tackling the Bible in a new way in the new year. And so began the journey of reading the word of God. While there are a slew of Bible plans out there, find one that interests you! For me, reading the book of Job before getting to read Abraham and Sarah’s story in Genesis was different and really put Job’s story in perspective. This was one of the reasons I chose to read the Bible in chronological order last year. There are other reading plans that allow you to take more time, like the Two-Year Bible Reading Plan, while other options are formatted to help you read it in 90 days. This year, I started reading a version of the Bible in a year that had me reading from four different books of the Bible in one day. To say that I was overwhelmed, is an understatement. While, I was tempted to give up my Bible reading goal, God empowered me to remain strong. He reminded me that I didn’t have to give up just because the plan I had chosen didn’t work out. 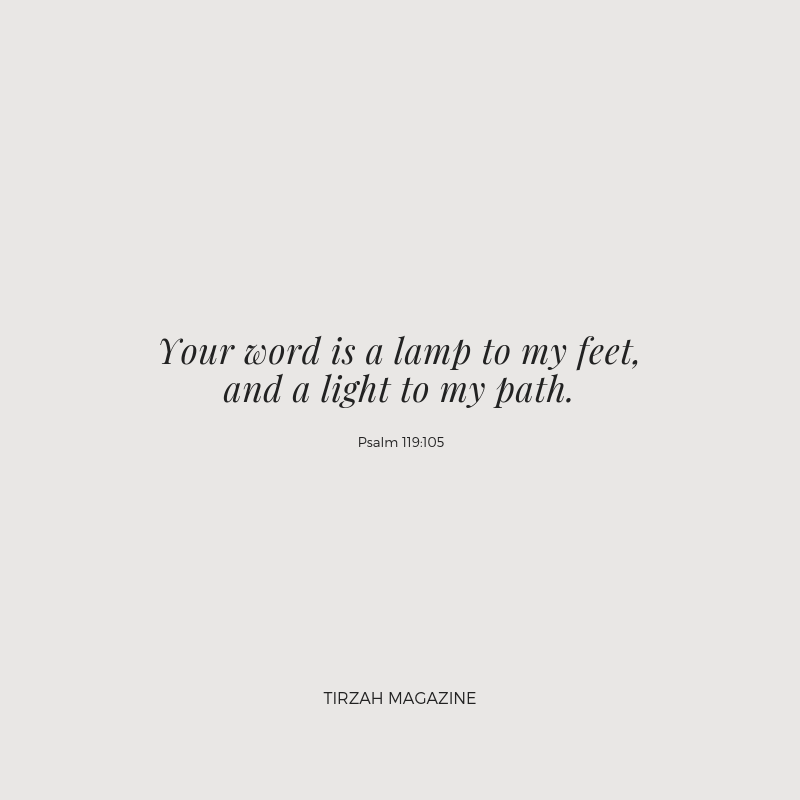 I could find a different plan that would still allow me to read His Word and connect just as much with Him each day. I quickly started looking into other plans that might work best for me. With the plan I am following now, I am still reading the Bible in a year, only, I focus on a single book at a time--with the exception of Psalms and Proverbs--and I also bounce between the Old and New Testaments. There are many ways you can engage with the Bible, but here are a few things that helped me: I found it really helpful to watch The Bible Project’s YouTube videos about every book in the Bible. These videos painted a bigger picture of, not only the book I was reading at any given moment, but also how the book tied into the bigger story of the Bible, the Gospel. Another way I was able to interact with the Bible was by highlighting or adding notes in both my Bible App and my physical Bible. Lastly, it was very helpful to read through certain books of the Bible with other women. It helped to know I had other’s I could rely on for accountability to persevere in my reading. I also appreciated having wise people to turn to when I am having trouble understanding the meaning a certain passages. If you don’t have a local Bible study to join, you are always welcome to join our online small groups where we meet every other week for Bible study! Our Q2 Bible study on relationships starts April 2! There is no set recipe on when and how to read the Bible. In the Bible, we see that King David found mornings to work best for him (Psalm 63:1 KJV). For you night owls out there, that might not be the case. Additionally, don’t feel like you can only read the Bible. Thankfully, technology allows us to also listen to it. I find that I can usually listen to the Bible on my way to work. What is most important is that you carve out time to make it happen and make it a habit! One area I’m still growing in is revisiting what I read. I like to read in the morning, but I often find that, by the afternoon, I can’t remember what I’ve ready just a handful of hours before. So, now, after reading in the morning, I go back at a later point in the day and dig deeper into the text. While it does take a bit more time out of my day, I have found it to be extremely necessary in helping me refresh and understand the passage more. I don’t know about you, but so many times I feel like I have to do things a certain way for it to be done right.You may think you need to read at a certain time or in a certain place, but often the “necessities” we think we need only serve as distractions from the only true Necessity. You don’t need the Instagram-able picture to read the Bible in the quiet of your home. You may not be sitting at a breakfast nook made from wooden pallets while sipping on a cup of coffee, but your Bible reading will still “count” and will still be special. Read the Word of God in whatever your reality might be. Just three and a half months ago, on December 31st, I was finally able to read Revelation 22. I learned so much, not only through reading the stories that happened long ago, but also by learning about God and experiencing His goodness as He meets us even today. Thank God for His Word.